Good-King-Henry (Chenopodium bonus henricus): growing, planting, caring. Blitum bonus-henricus, or Chenopodium bonus-henricus, also called Good-King-Henry, Perennial Goosefoot and Lincolnshire Spinach is a species of goosefoot native to much of central and southern Europe. Good-King-Henry has been grown as a vegetable in cottage gardens for hundreds of years, although this dual-purpose vegetable is now rarely grown and the species is often considered a weed. Good-King-Henry is an annual or perennial plant growing up to 40–80 cm tall. The leaves are 5–10 cm long and broad, triangular to diamond-shaped, with a pair of broad pointed lobes near the base, with a slightly waxy, succulent texture. The flowers are produced in a tall, nearly leafless spike 10–30 cm long - each flower is very small with five sepals. 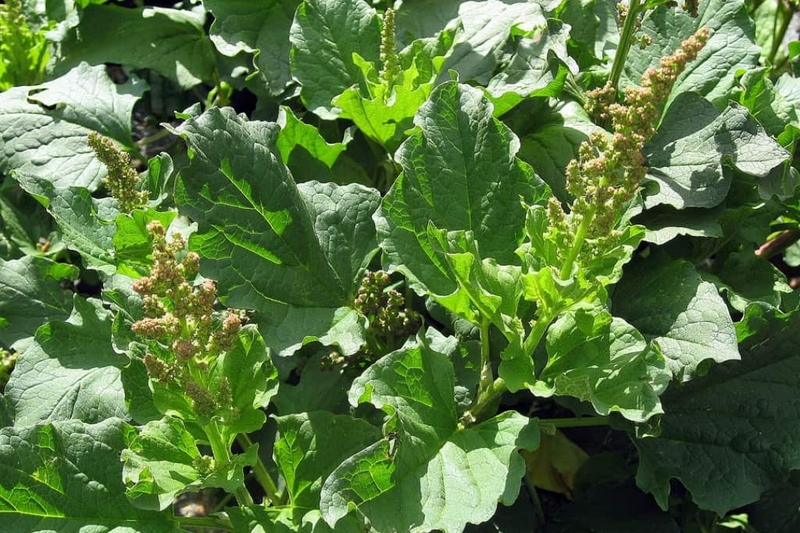 The Chenopodium genus includes two other species: Chenopodium album - which is an annual weed of crops signaling an excess of nitrogen in the soil, and Chenopodium giganteum which is an annual ornamental. Plant in spring or fall. Find a spot in the sun or in partial shade, in a rich and fresh soil. Prepare the soil by digging it until a depth of one spade. Make a hole a little bigger than the root ball. Plant every 40 cm. Cover the root ball by tamping gently to remove air in contact with the roots, then water and mulch. Renew regularly the mulching, because the chenopods are greedy in water. The chenopodium bonus-henricus is multiplied by dividing the tuft. First take out the clod using a fork spade. Then take out pieces that have a stem or stem start. Replant every 40 cm, tamp the soil, water and mulch. You can harvest in two ways. In the spring when the new shoots emerge and reach 20 cm, cut some of them, and cook them with steam. The other way to harvest is to take well-developed leaves and cook them like spinach.